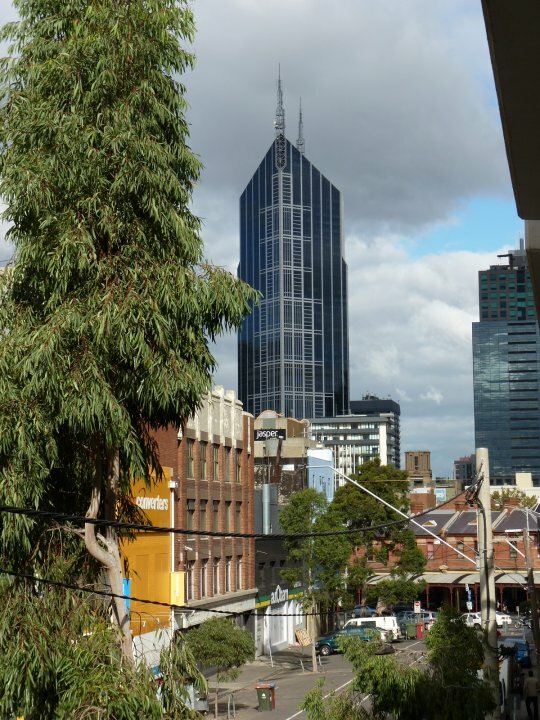 Market Square Melbourne Accommodation is a budget 1 bedroom apartment close to the historic Victoria market and only a short walk or tram ride to the Melbourne Central Business District. It is only a few minutes walk to the historic Queen Victoria Market & close to some of the best shops & restaurants of Melbourne & Carlton. Market Square Melbourne Accommodation is suitable for the budget conscious corporate traveler tourist or couples as an affordable short stay & Holiday Let accommodation option close to the centre of Melbourne. Market Square Melbourne Accommodation is on the first floor, reached either by a lift or 1 flight of stairs. There is a secure undercover car space provided. Market Square Melbourne Accommodation is only a walk or tram ride from the inner city universities of RMIT & Melbourne. The Royal Childrens, Melbourne & Royal Womens Hospitals are nearby. The Flagstaff underground train station is just minutes away. 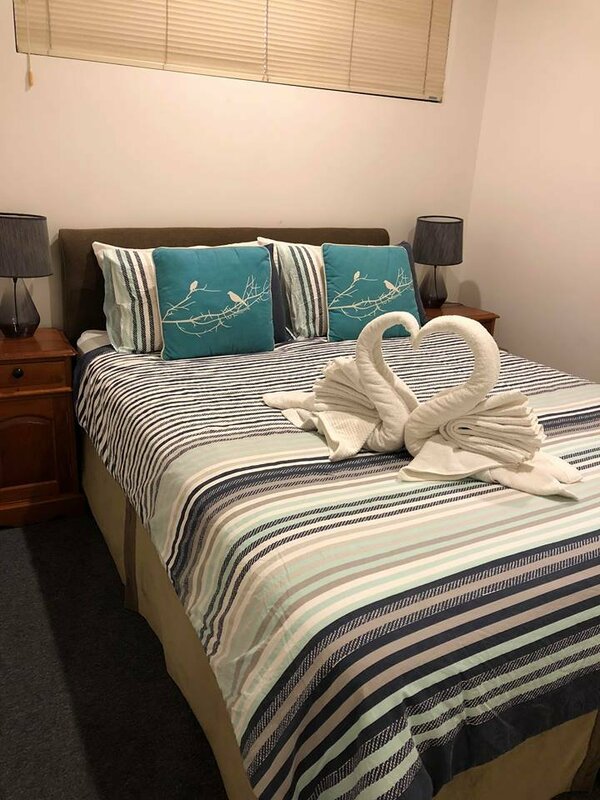 Market Square Melbourne Accommodation has a queen bed, open plan living with galley kitchen, portable air conditioner, heating, flat screen TV, & bathroom with shower, toilet and washing machine and clothes drier. There is 1 secure car park space provided. Market Square Melbourne Accommodation is part of Australian Home Away. We provide fully furnished short stay budget self-contained accommodation throughout Melbourne and suburbs. 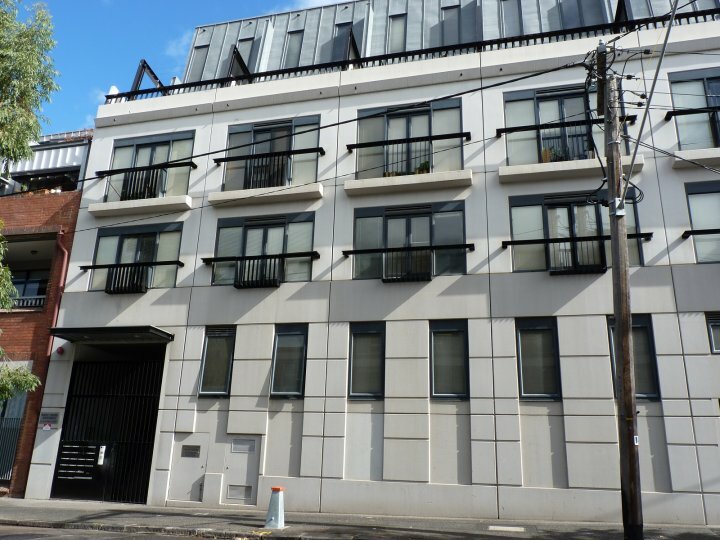 Accommodation Market Square Unit 110, 29 O'Connell St North Melbourne. Enter off Victoria St. Please let us know arrival time and call prior to arrival as this is a secure building and there is no reception on site, therefore one of our staff will need to meet you at the property to grant you access.